Cafe: Yes, does not take card. Indoor and outdoor picnic area. Read more on Norfolk Heritage Park here. 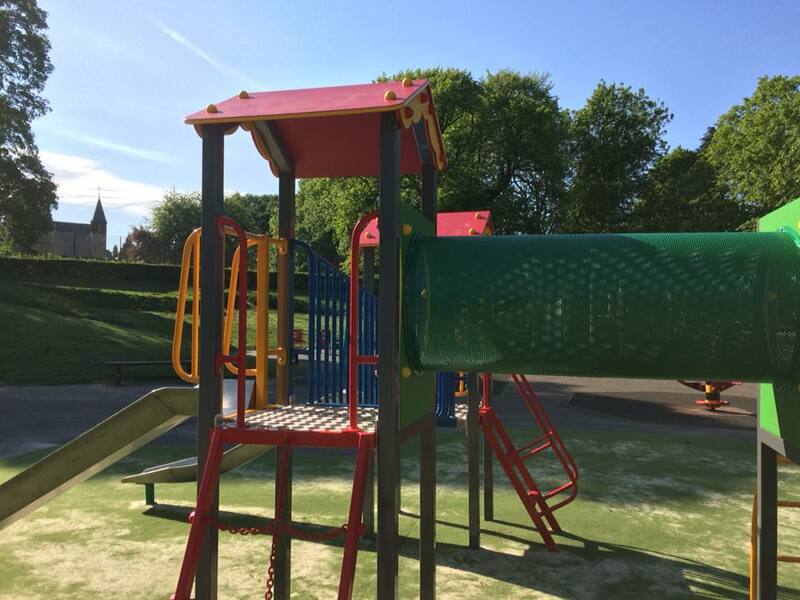 Norfolk Heritage Park has two playgrounds including a newly renovated adventure playground (opened 2018) and toddler playground, swings, slides, climbing frames, zip wire, picnic area and more. Such great place to play! Norfolk Heritage Park is an inner city historic parkland with 28 hectares to explore in the S2 area of Sheffield. 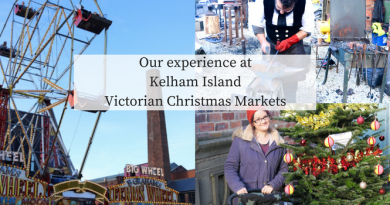 Easily accessible by bus or tram (to Graville Road). The Jarvis Lum ancient woodlands are a great place to get a quiet stroll whilst spotting sculptures and beautiful in autumn. There is a quiz trail, a bird trail, information for both of these is in the Centre in the park. There’s a good cafe hot and cold food and indoor play space in the Centre in the park. Fantastic views over the city. 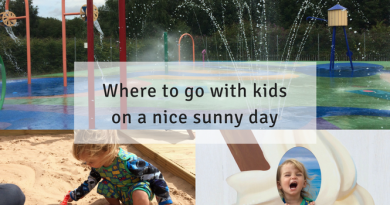 A day out at this park is good all year round. Centre in the park provides covered and warm picnic areas, toilets, kids toys in cafe, nursery, meeting rooms and reception. Hillsborough Park and Walled Garden. S6 2AS. 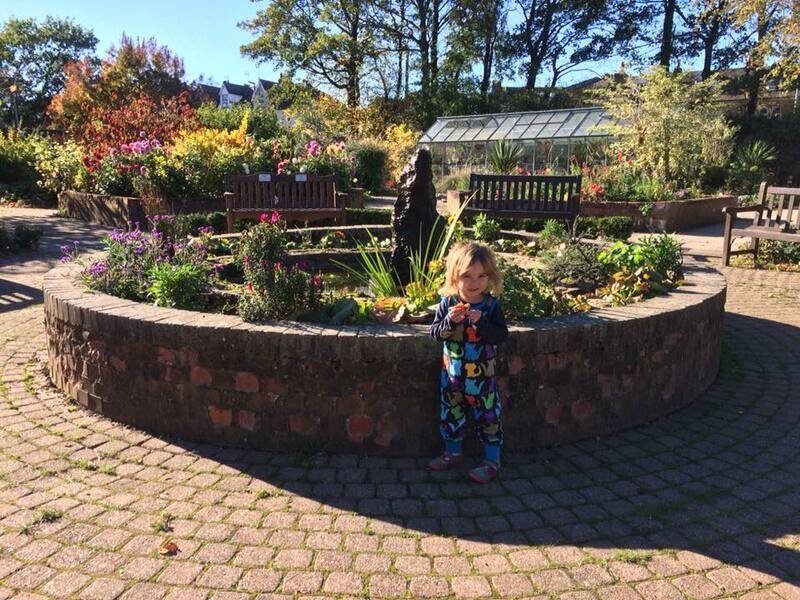 We are big fans of Hillsborough Park and Walled Garden. 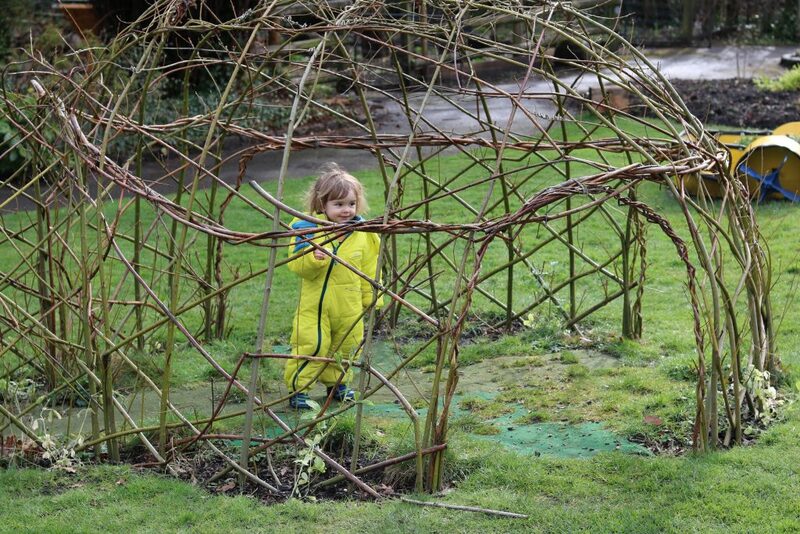 The walled garden is such a magical little hidden gem and I really recommend you visit. I have created a free trail for the walled garden which you can get here. 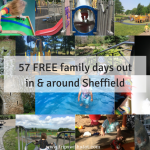 Hillsborough park is a large parkland, 3 miles north west of Sheffield City Centre and surrounded by lots of shops, cafes, shopping areas and things to do. This park has a library, too, which does free baby time and story time sessions (see here). The park has a gorgeous walled garden which is so pretty, my favourite part of the park is a stroll through the gardens to find the squirrel and fairies. A large playground is lots of fun for kids and has a big slide. 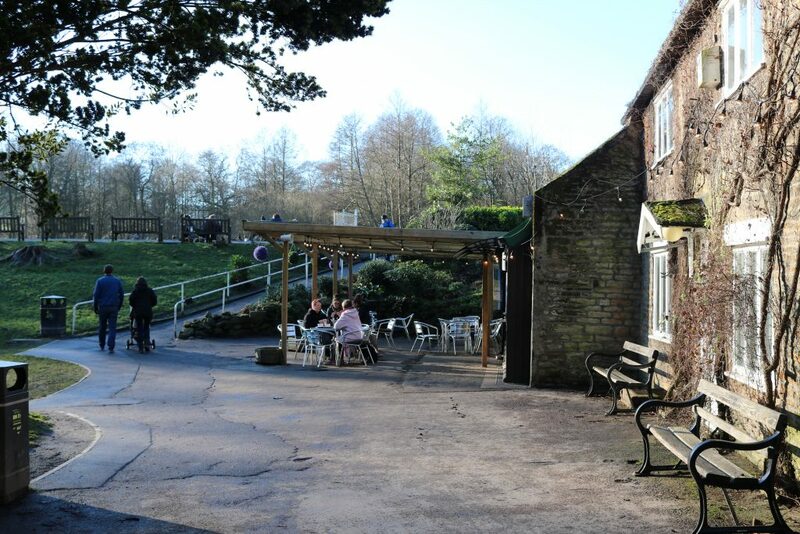 Although the park has no cafe there are lots of places to eat around Hillsborough. Endcliffe park. 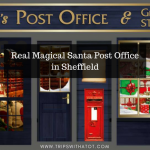 Rustlings Rd, Sheffield S11 7AB. This park has it all! 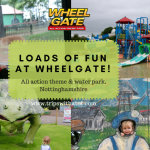 Woods, streams, open green for games and picnics, ducks, a really good cafe and a funfair. 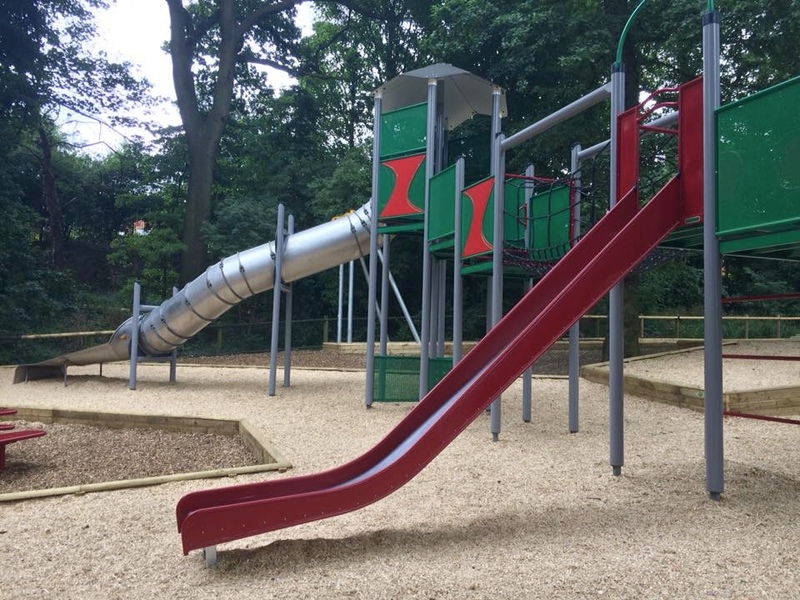 The playground area is fantastic with two separate areas; one more adventure with climbing and ropes, and the other the toddler/younger play area. There is a lot to do in this park, you can start from the top where the ducks are and work your way through. There is outside seating for the cafe, buggies are not allowed inside. I love to walk down from Forge Dam passing Shepherds Wheel (takes about an hour). I love Forge Dam. 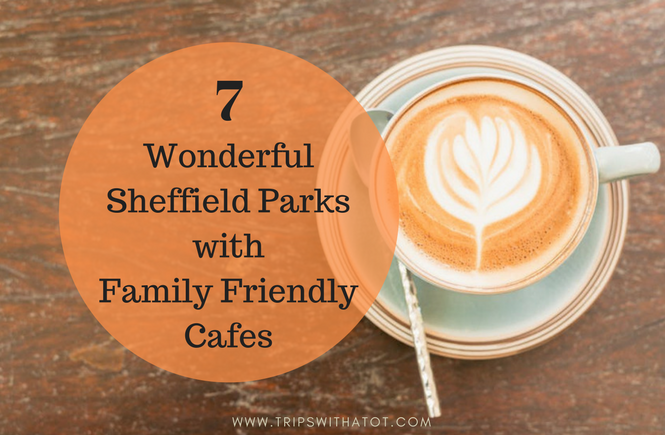 Quiet woodlands, rocky streams, a great cafe that always does good food with good service, a good playground, walking trails and ducks. 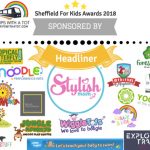 The cafe has ice cream, brilliant coffee, panini, breakfasts, snacks and drinks and toys for kids. The park has a great atmosphere and the park is small but lots of fun especially the huge slide! 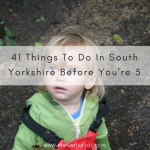 You can walk all the way down to Endcliffe Park from Forge Dam and do two parks in a day (approximately 2 miles), or walk up to Mayfield Alpacas. The ducks are above the cafe (the cafe is on the right in the photo above) with benches around the pond. There are green open spaces opposite the cafe (to the left of the picture). The rest of the park is across a road from a playground and is a quiet, rocky water stream walk with bridges, waterfall, stepping stones and nature. 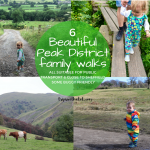 Find out more about the walk from Forge Dam to Endcliffe park here. Graves Park and animal farm. 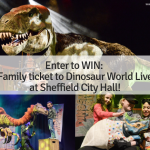 Free to visit. S8 8QD. 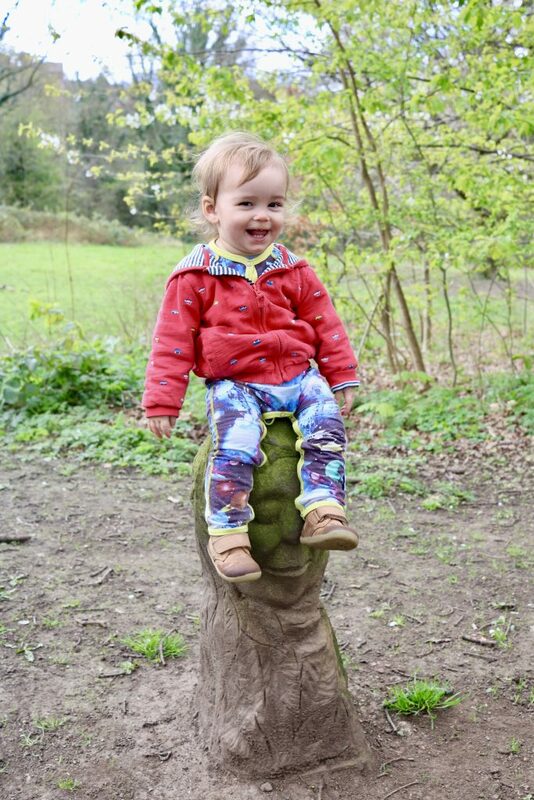 Graves Park makes a fantastic free day out for families. 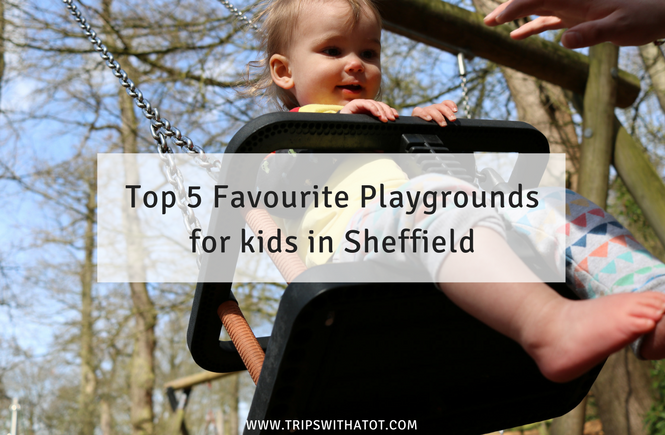 It is the largest park in Sheffield, so there is lots to explore and tons of space to play! 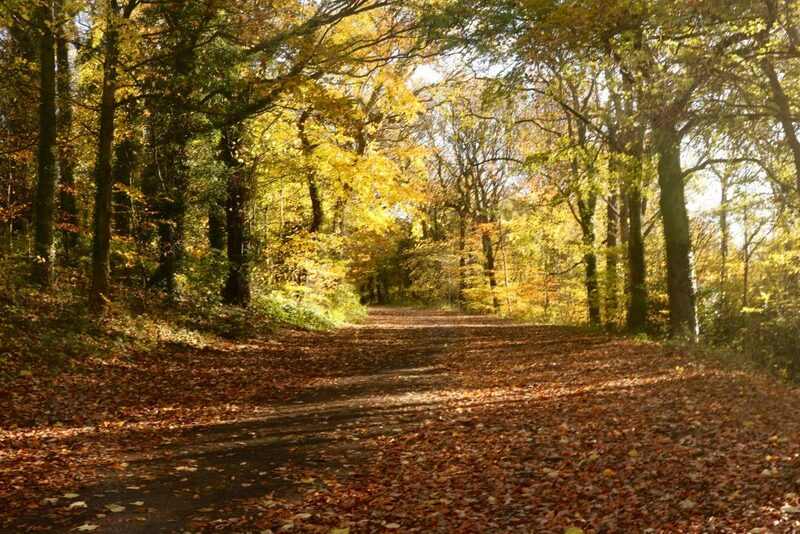 From big green open spaces for ball games to quiet woods, there is something for everyone. There are many walks to do in this park or you can just see where the day takes you. 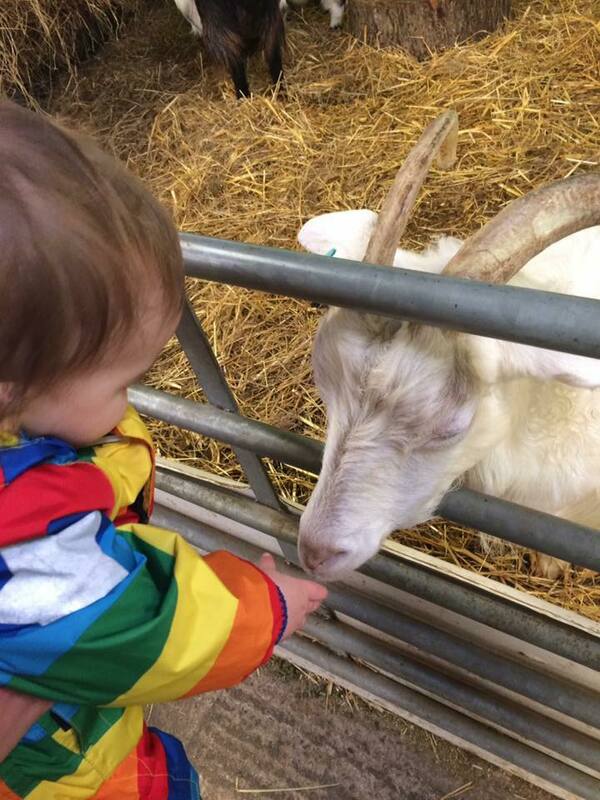 The animal farm is free to visit, has a tractor that kids can ride on and a gift shop. There is a good cafe with home cooked food (they take card) and a small play area. 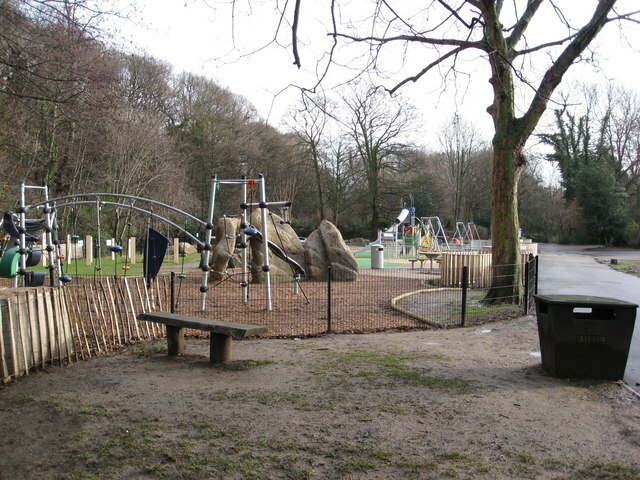 Graves Park playgrounds are fantastic; there are sand pits, climbing frames, swings, ropes and swings. Bolehills Recreation Ground, S10 1QH: one of my new favourite playgrounds. good equipment including 1 new climbing frame/slide, plus big silver slide, trees and loads of space to run. the park is really high up so good views and rocks to climb. 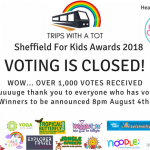 Rivelin Valley Park, S6 5GL: Read this post. 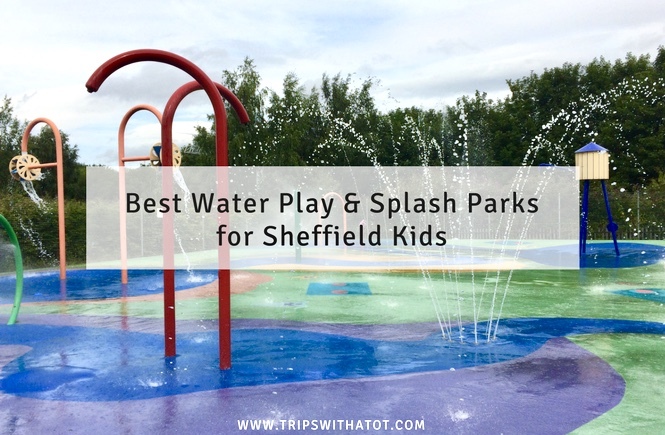 Free splash park open in school holidays with a paddling pool. Great playground, lots to do, big open space. Beautiful woodlands, water and places to paddle, nature trail and walking, good cafe. Heeley People’s Park, S2 3DJ: Opposite heeley city farm so good to combine with that (which is free). sort of 2 parts to the park, good equipment and one climbing frame with big silver/almost curly slide. BMX track and lovely little paths with lots of flowers. Springfield/Gell Street Playground, City Centre: Just behind West One plaza on Gell Street, this city centre playground is really great! We love it here. See photos & where it is here. 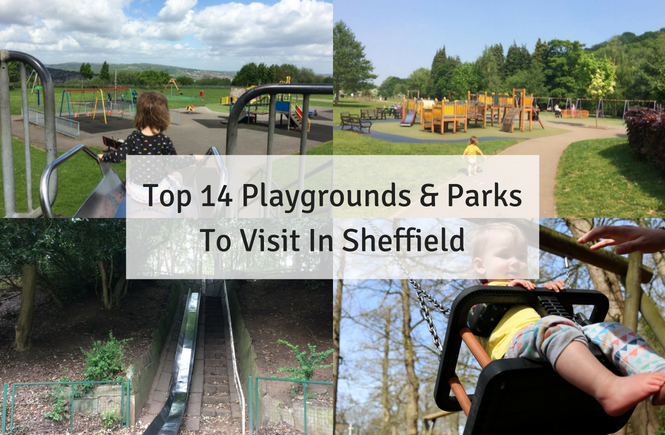 This just a handful of great playgrounds and parks in Sheffield, there are so many more waiting to be found and discovered on your door step. 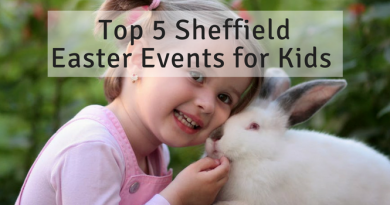 50 fun things to do in Sheffield with kids! Thanks for reading! I hope this was useful.